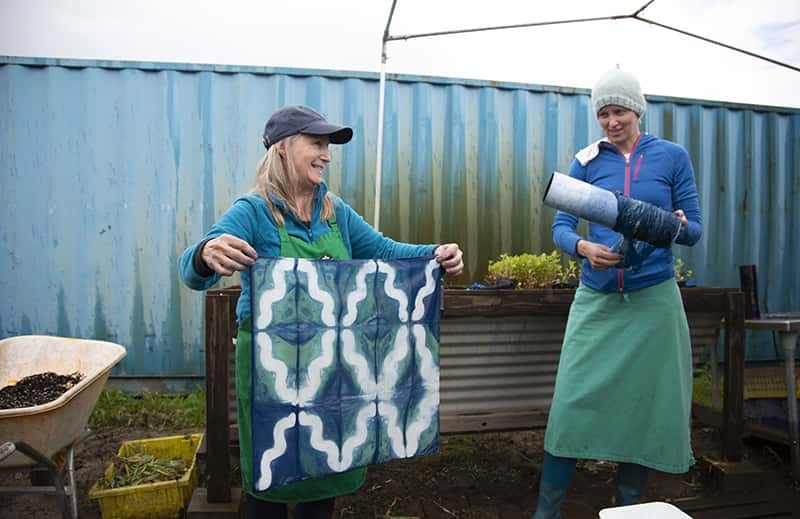 The ladies behind Vibrant Valley Farm have spent the past 3 years studying, testing and growing indigo, with the goal of bringing a piece of traditional Japanese textile-culture to the Pacific Northwest. We are thrilled to team up with Vibrant Valley to show students the process of cultivating, harvesting, composting and dying with fresh indigo! Join us for a hands-on day of learning about indigo from the ground up. Students will have the chance to practice shibori patterning, and traditional Japanese dye methods, leaving with dyed fabric and indigo seedlings to plant at home. This workshop is offsite, hosted by Vibrant Valley Farm on Sauvie Island. Students will receive an email confirmation with directions, packing list and meeting location.